In the very few hours I've had to myself since the news broke (usually between intensive lectures, lengthy classroom observations and broken units of sleep), I've been pouring over every write-up and tribute on display. A post I keep reading is Nathaniel's first words on Ledger's passing; I had returned to Nate's blog Tuesday afternoon to chat some more about the Oscar nominations announced earlier that day. When I saw that photo and those years in closed brackets, my heart sank into my gut instantly. Although I fully knew what this meant, I didn't want it to compute. I followed the accompanying links, additionally tapping away the addresses of every familiar online news source (entertainment-related or not) in order to verify this claim. And then I went back to that original post and sat there for about ten minutes with my mouth ludicrously agape. Eventually, I had to pull myself together and attend a linguistics lecture. I was able to make light conversation with my classmates and pay attention to the professor's points, but I had that same pit in my stomach throughout. It seems so off, so improperly timed. After Brokeback Mountain, Candy and I'm Not There, it felt like he was just getting started. And his film career aside, I had grown used to his adorably dumpy fashion sense, that goofy smile and his distinctive nervous-but-generous chortle. I don't have much to offer here, but the blog seems like the obvious place to jot down some thoughts. - Atonement manages to pull off a Best Picture nomination after all, indicating that the film has more fans within the Academy than I had originally figured. I thought the Joe Wright picture would be this year's Dreamgirls like many other bloggers, but I suppose one should never underestimate the British period prestige contender. Good for Wright & co. I'm not ga-ga over all of the hit-and-miss Atonement, but I do lurve that first half with Ronan as Briony. - With Jason Reitman's surprise appearance in the directing category, does the Best Picture race now come down to No Country for Old Men versus Juno? - Philip Seymour Hoffman's appearance in the Supporting Actor race now means I'll have to watch Charlie Wilson's War. - The Simpsons Movie booted out of Animated Feature for Surf's Up. While I heard surprisingly good word-of-mouth regarding the latter, I totally thought those Springfeldians were a lock here simply due to the popularity and lasting power of their film. - I'm not a fan of The Bourne Identity trilogy, but it's nice to see that it's finally made an impact this year (I accurately predicted all three of its nominations.) Ultimatum is probably my least favourite of the three though. - Sweeney Todd missing in Makeup and Cinematography? Weird. - I was correct in intuiting that voters had not forgotten about Tommy Lee Jones in In the Valley of Elah, but dead wrong in figuring that a vote thrown his way for No Country for Old Men would suffice. This is probably my favourite nomination this morning - it's heartening to know that a seemingly forgotten performance like this one can still make it in the final five without any precursor love at all. - (Expected) strong showings for No Country for Old Men and There Will Be Blood. - Say hello to Academy-Award nominees Tilda Swinton and Viggo Mortensen. S'about time! - I share Glenn's er... enthusiasm in celebrating Sarah Polley's Away From Her Adapted Screenplay mention. This is obviously a "we're sorry we couldn't nominate you in the directing category" nod, but Sarah and I will take it. - Cheers for Casey Affleck, even if he is nominated in the wrong category. - I should have known that Enchanted's most showy and memorable musical number ("Happy Working Song", in which Amy Adams frolics with a sizable number of New York City's pest population) would be remembered come voting time. - While on the topic of Original Songs, congrats to the Once camp for "Falling Slowly" being recognized. I don't like the film very much, but I'm not so crusty as to obnoxiously poo-poo the stellar soundtrack as well. This means we'll actually get to see it performed if the ceremony goes on as planned! - Michael Moore's flawed, funny Sicko gets a Documentary mention. Hopefully this will get more people to watch it. - Roger Deakins thankfully gets in for both Jesse James and No Country for Old Men. But now will he lose to Janusz Kaminski's gimmicky Diving Bell aesthetics? - James Newton Howard's Original Score nomination for Michael Clayton - that pulsing, jangling score was über-intense. Great stuff. - Ruby Dee! Not one of my personal picks, but I certainly preferred her to Catherine Keener or Vanessa Redgrave. Slap him again Ruby! - Tony Gilroy gets two nominations for his feature film debut. Go Team Clayton. - Jason Reitman for Juno? One of the best-directed films of the year? Ok. Not a travesty by any means, but come on people. - Angelina Jolie, where art thou? One of the hardest snubs to swallow this morning, even if Linney managed to make it in. Speaking of Linney, love it, but I'm going to pretend that nod is for Jindabyne instead. - The wig-wearin', hairline-raisin' Cate Blanchett - just like last year - party crashes a category that could have accommodated more deserving nominees. But we knew this was coming, right? Good for her on that I'm Not There shout-out though. - I haven't seen any of the Foreign-Language films nominated here. Are you listening, Canadian distributors!!? - More Pirates repeating their same adventures in the Caribbean? Thankfully the future holds no more installments of that franchise (hopefully.) I tried watching this on video, but couldn't make it past the first ten minutes. - Here's an obvious moment to further abuse Norbit, but why bother? I'm more interested to see if it can achieve that rare distinction of being both an Oscar and Razzie winner. - The Golden Compass for Visual Effects? Ew! I thought this was one of the film's weakest elements. Those polar bears looked so fake, and the daemons fared even worse. - WHERE IS ALEXANDRE DESPLAT???! They have now snubbed three Oscar-worthy scores of his (Birth, The Painted Veil, and now Lust, Caution.) Bad form! The blog lives! Readers who know me well can attest to this fact: if there's anything to get me out of a writing slump, it's the Oscars. I've been meaning to update for the last little while, but nothing I could assemble in my drafts seemed quite good enough to post. Most of what I wanted to say about the offerings on display during awards season have already been articulated with more wit and clarity by my peers. Hopefully, a quick capsule review run-down should show up in the next couple of days, to provide some explanation regarding those grades you've seen piling up on the side. Yes, I may very well regret omitting Juno from the mix come Tuesday morning. At this point in time though - even with the rave reviews and the rising box office returns and a go-ahead from the PGA - it still doesn't look right to me in the final stretch. My (very) cool feelings towards the film aside, a part of me feels that voters will find it too fluffy and inconsequential in this year of deep and heavy American cinema. I mean, hamburger phones? "Home-skillet"? At the very least, Little Miss Sunshine (irregardless of how you feel about it) doesn't seem like an in-joke the whole way through, depending on pop culture references and quirky, artificial banter to impress. And for what it's worth, the beloved indie darling couldn't even muster up enough support to win an Ensemble nod with the SAG, what one would consider an easy get. The same goes for its bridesmaid status at the Golden Globes, as the HFPA decided to confer their honour of Best Comedy/Musical upon Sweeney Todd instead. 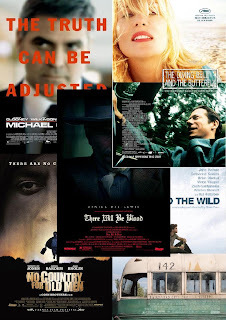 A poster at In Contention made the good point that aside from Best Picture, the only certain nods Juno has in the bag are Actress for Ellen Page and Original Screenplay for Diablo Cody - nothing more. A Best Picture nominee with only three overall nominations? Again, many other points could be made to argue that the film is a lock at this point, but I'm just going on an instinct here. As for Atonement, the GG win and BAFTA love occurred after AMPAS ballots were due, and the film already has a shaky reputation stateside. If the voters are truly feeling "international", I'm thinking they respectfully decline the icy, questionable advances of the Joe Wright film and go for The Diving Bell and the Butterfly. Granted, Schnabel is a New Yorker and the film was financed with American money, but perhaps that makes my case even more convincing. True, Pan's Labyrinth wasn't able to land a Best Picture nomination at the zenith of its popularity this time last year, but it didn't have a PGA nod. And if the film's tiny box office numbers suggest not enough voters have seen the film, I present the following: Letters from Iwo Jima. I don't think numbers one through four really need to be explained, considering how well they've all done in the precursors. The Coen Brothers picture is a lock, while Michael Clayton is looking as stable as The Queen did last year (no major citations for the film as a whole, but considered a shoe-in all the same.) 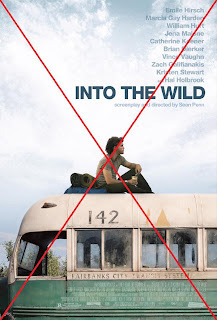 Into the Wild didn't have much support from the HFPA or BAFTA, true, but all the American voting bodies have embraced it. There Will Be Blood was looking iffy until the combined power of DGA, PGA and WGA cemented its status as a leading player. All in all, I can see any of these eight in the final five, although I'd be rather pleased if Juno and American Gangster were shut out entirely. First three are looking good, and I'm sure you'd agree with me. Paul Thomas Anderson has had a hit-and-miss relationship with AMPAS throughout the years, but the general feeling at the moment is that it's definitely "his time". Julian Schnabel and the Coen Brothers are safe, while Sean Penn fills that actor-turned-director spot the Academy loves to include every now and then. People really do love the film; even if the film misses out on a Best Picture nod (which I could see happening), I still think he could fill that lone director slot. The prediction that sticks out here is Cronenberg, which I agree is a very risky one. I'm not even sure I believe it myself, but understand that this inkling is informed neither by fan-boy love or as a supporter of the film in question. I thought Eastern Promises was a shaky-if-entirely-watchable venture, and I even knew not to include him in the year of Violence (which I flat-out worship.) So why now? The directors usually have a surprise up their sleeve every now and then (Mike Leigh for Vera Drake, Fernando Meirelles for City of God, Stephen Daldry for Billy Elliot - all of them missing from the major American precursor lists and considered big shockers), so it's not completely "out there". Plus, with voters scrambling to catch Viggo's performance, I believe the directors' branch (with feelings of residual guilt from '06) will rally to support this Canadian master. Hey, let me live out the fantasy while I can, okay? But it's not that bad - I wouldn't mind if Tony Gilroy took his spot, or even Burton. Ridley Scott, however, is another story altogether. One thing is for sure: Julie, Marion, Ellen and Angelina can breathe easy and hit the snooze button early Tuesday morning. Everyone seems to agree that it's the fifth spot which presents the most trouble... who will take it? The default nominee? The critical darling? The "it" girl of the moment? The glamorous British import? Each of these women has an equal number of factors for and against her for the final slot. Practically everyone in Hollywood adores Laura Linney, and both her and co-star Philip Seymour Hoffman won rave reviews for The Savages. However, detractors feel she's mined this territory before (frustrated, complex woman deals with unsympathetic sibling) and the lack of GG, SAG and particularly ISA (!) mentions is troubling. Amy Adams had a lot of heat when Enchanted first opened, but there hasn't been much buzz since. Plus, a "breakthrough" nomination may seem repetitive for some voters, since they already handed her one for Junebug a couple of years ago. As for Keira Knightley, who was considered a shoe-in all year long, has suffered from mixed reviews and is arguably a secondary player in Atonement. Plus, voter fatigue for such a young starlet (she was a surprise nominee for Pride and Prejudice a few seasons ago - too much, too soon?) may push another contender into the spotlight. Additionally - it's a long shot, but could Nikki Blonsky be this year's Keisha Castle-Hughes? Hm. Again, the last spot is interesting: Washington got Globes love, but no SAG mention, while Gosling got both. The two actors' films seem to be well-liked enough, but not wholly embraced by the rest of the industry. The beloved Into the Wild, on the other hand, is a sure bet to garner many nominations, and Emile Hirsch may very well be brought along for the ride. He pretty much carries the entire film by himself, and undergoes many physical transformations throughout his two-year journey. A bit young for this category, but he's been around for a while and has built up quite a sizable and respectable resume. But if these last three ultimately cancel one another out, it's entirely possible that Frank Langella or Mathieu Amalric could land a surprise nomination. This category is due for a shake-up. Meanwhile, Ruby Dee's and Catherine Keener's campaigns were bolstered by SAG, but I'm betting that Dee makes it through with a career longevity nod. She has a minuscule role in the Ridley Scott picture, and the screenplay largely ignores her until that biggie confrontation scene with Denzel - and what a mark it leaves! For me, she was the only thing worth mentioning or even remembering in the dull, derivative American Gangster. That lone scene is the one that resounds most clearly in my mind after seeing it, and I'm betting voters feel the same way. I'm not really convinced that Keener will crack the top five, even if she is well-liked and esteemed by her peers. I saw Into the Wild after the SAG nominations were announced and I was shocked that such a fleeting appearance was able to score a mention. She does wonders with the role (similar to what she accomplished in Capote), but she doesn't have a real "stand-out" scene that's quite memorable like Dee. Even in the Bennett Miller film, in which her Harper Lee was very quiet and reserved, she still had that key telephone conversation with Truman that was thematically loaded. Not so here. Affleck looks very safe to me; practically every actor who has won NBR in this category goes on to be nominated here and he also has support from GG/SAG/BFCA. Tom Wilkinson is in the same position as his co-stars Clooney and Swinton: not much of a threat for an actual win, but still guaranteed a position in the final five. Holbrook and Bardem are obviously locks at this point, no use in explaining why. Not having seen any of or heard much about the final seven picks by the voting committee, I am fully expecting to crash and burn here.